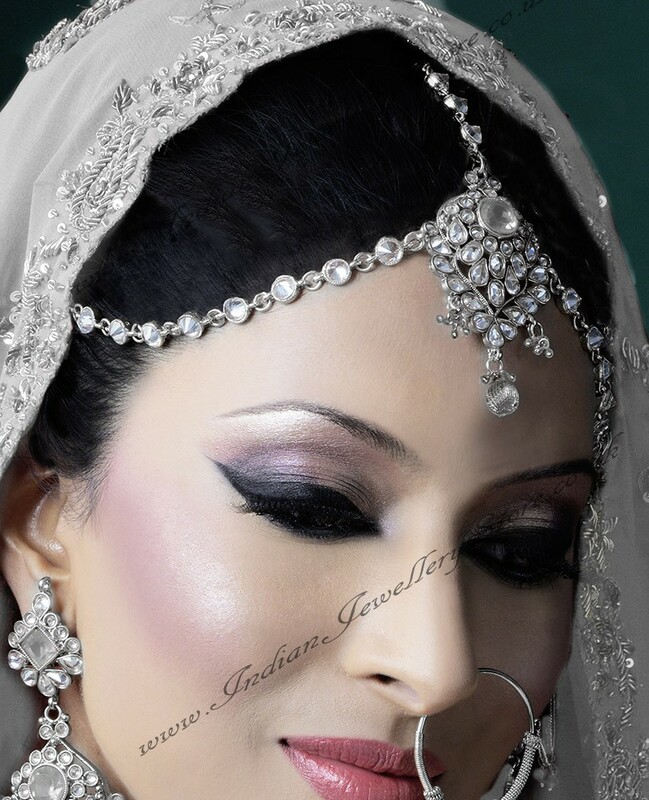 Full set also available at Indian Jewellery Store. Enter the design name in the product code box to see. Earrings and matha-patti set can also be made available in this design. Matha patti ONLY in Rhodium plated (silver colour) and clear white. Set with American Diamond stones. This matha-patti can be made in 1, 2 or 3 laris (lines/chains) Full set also available at Indian Jewellery Store. Enter the design name in the product code box to see. Earrings and matha-patti set can also be made available in this design. Contact us to enquire. Indian Jewellery Store LOVES this product.